Blues legend B.B. 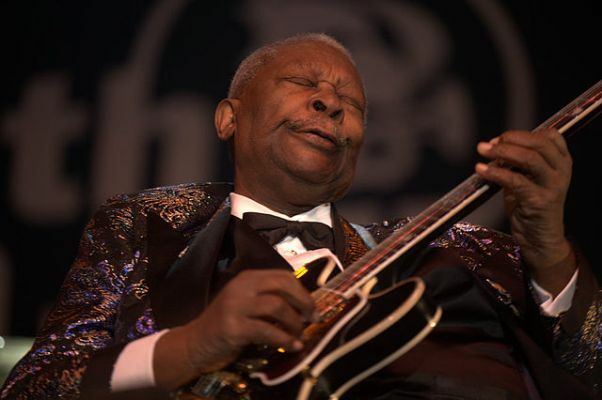 King, who died yesterday, named all his beloved guitars Lucille. In honor of those guitars, he also bestowed that name upon his beloved Maltese. In 2006, when Lucille the dog went missing from King’s manager’s yard in West Hollywood, Calif., he offered an autographed copy of Lucille the guitar as a reward for finding her. Unfortunately, the Maltese was apparently never found, even though about 500 “Lost” signs were posted in the area, and animal shelters were checked regularly. Rest in peace, B.B. King. And wherever Lucille the dog is, I hope she’s being treated as well as she was by her dog dad.